It’s that time of the year when companies in Norway book the best available tables for Christmas dinners. This year, I’ve organized a Christmas dinner (in Norwegian julebord, literally Christmas table) for our department of seven. 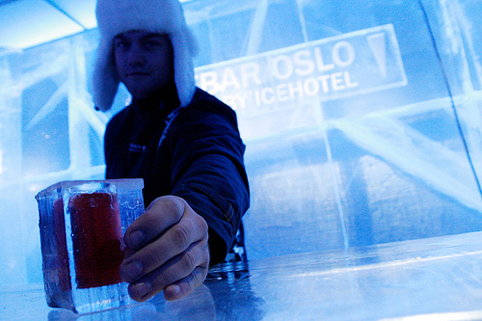 Instead of going straight to dinner, I’ve arranged for some pre-dinner tapas, drinks and ice-sculpting activity at Oslo’s newest and coolest bar concept. 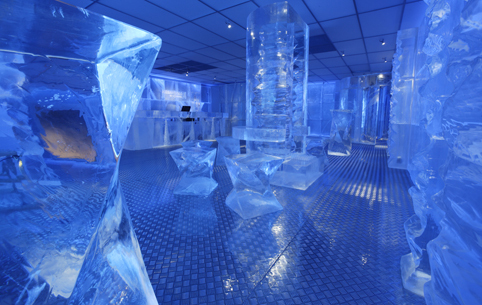 We’re going to Icebar Oslo by Icehotel! Afterwards, we are having a three-course menu dinner at Restaurant Eik, I believe one of Oslo’s best and trendiest restaurants. Recommended in the Michelin Guide under the Bib Gourmand category, Restaurant Eik serves a medley of dishes created from the freshest ingredients of the season. Hmmm, this will be good. Approaching Milan, the majestic Alps appears outside my window. I first saw the Duomo and its iconic spires at dusk. The intricacies of the facade was a sight to behold. The night quickly fell over the city, and the Duomo turned gold. From one house of worship to another, the Galleria Vittorio Emanuelle II next door is a church for worldly desires. My second day in Milan started with a stroll along Via Montenapoleone. The most revered street on the city’s “Golden Square”, the brands housed here can blind you – from Prada, Gucci and Louis Vuitton, to Ferragamo, Valentino and Versace. Off Via Montenapoleone on a street named Via Santo Spirito lies the Balenciaga store. The interior is amazing and going through the racks of clothes and displays of its famous leather goods is an experience on its own. On the same street we found this beautiful iron-gated building, such a perfect backdrop for a photograph. Shot a la The Sartorialist by my friend Maureen. Opposite is the Palazzo Bagatti Valsecchi with its gorgeous heavy doors. It now houses one of the finest museum homes in Europe. These Fiat Planters along Via Montenapoleone are awesome. These are fiber glass versions of the Fiat 500 C model. A “green” car? Definitely. The Armani flagship store on Via Manzoni is a multi-concept store that covers an entire block and offers the requisite Armani clothing along with chocolates, food, books, and homeware and furnishings. Hungry past lunch-time, we headed to the Galleria Vittorio Emanuelle II where I saw in brilliant detail its beautiful arcades and glass dome. We settled for the restaurant across the Gucci Cafe. I had asparagus risotto with scallops. The obligatory Galleria Vittorio Emanuelle II shot. In front of the Prada store. I got myself a souvenir from here. The paper bag carries the Fratteli Prada (Prada Brothers) label. And the Louis Vuitton store. Surprisingly, I did not enter here. A mistake? Amazing details on the interior facade. Stepping out of the Galleria, we viewed the world famous La Scala from this patch of autumn leaves. Maureen and I decided to go back to the Duomo, where I was to take the lift to the rooftop. 8 euros and a short lift ride after, I was treated to views of the city from above. The Gothic cathedral took 500 years to build and is often described as one of the greatest churches in the world. The cathedral is adorned with over 3,400 statues. Everywhere you look is simply breathtaking. The view of Piazza del Duomo and the Galleria Vittorio Emanuelle II. The best time of the day to go up the roof is towards dusk, as the setting sun romances both spires and spectators. I visited the Corso Como outlet on Via Tazzoli on my third day. Tucked within a discreet building, last-season goods from the world’s most exclusive men’s and women’s fashion brands are sold here. This day they had discounts on Balenciaga, Burberry Prorsum, Pierre Hardy and Prada, in addition to the already reduced rates on men’s fashion, accessories and shoes. I got something here, too. The nearby 10 Corso Como store, on the other hand, is a class on its own complete with a bookstore and a cafe. For dinner, we headed to the Navigli District that is famous for its canals. I had the rich Osso Bucco meal at Officina 12, a great looking place that serves classic and regional dishes. There is also a bar that looks happening. Porta Ticinese with ionic columns and bearing the words Dedic. Anno. 1815. To end this trip, a gelato was in order. We headed to Grom where I had the creamiest and smoothest Pistachio ice cream I’ve had in my life. Ever. It was so good. Milan is as beautiful after dark as it is in daytime. And on my last night, the moon was peeking from behind the clouds. Casting its light to this wide-eyed wanderer. Buona notte Milano. The heart and soul of the island, pedestrianized Mykonos Town is a beehive of activity where the world comes together to sample Greek dishes in the many tavernas and topnotch restaurants, to shop local wares as well as luxury timepieces and fine jewelry, to appreciate and acquire art from the galleries, and when the night falls party like there’s no tomorrow. Mykonos Town has a myriad of tiny and charming alleyways. In every corner you turn, you’ll find a sight that’s postcard pretty. Bursts of color, from potted plants to bougainvilleas lazily hanging from balconies, appear among whitewashed houses. Following the breeze, you’ll find yourself in one of the island’s main tourist attractions – be it the famous windmills, Little Venice situated dramatically on the edge of the sea, the Paraportiani church with its insurmountable shape and structure, or the friendly town mascot Petros the Pelican spreading its wings at the Old Port. Here are my postcards from Mykonos Town. I hope you’ll find yourself here one day, too. Using the same oven dish, here are three different dishes to whet your appetite. Baked honey pepper chicken pot, recipe courtesy of CMC. Oven-baked chicken with macaroni, courtesy of Dinmat.no. American apple pie, courtesy of Videojug. Knut and I made the apple pie for a party last Saturday and it was our first time doing it. We were surprised how yummy it was. He suggested that we add nutmeg, which was not in the original recipe. The guests at the party were quite impressed, too. Here’s a little clever literature I picked up as I left the counter of my favorite coffee shop with a chocolate-infused frappe drink in hand yesterday afternoon. “Oslo – A poor man’s connoisseur guide to living in one of the most expensive cities in the world” is the first edition in a series of city guides initiated by by:Larm, the biggest music conference in Scandinavia. The Poor Man’s Connoisseur is all about enjoying the best things in life. This guide, slightly taller than a Wallpaper City Guide but a whole lot better than your average complimentary multi-fold ad-splattered (advertisements in this guide are designed/illustrated by young designers and artists from Oslo) city guides, writes what’s really great about Oslo in the following categories: accommodation, coffee, food, nightlife, galleries, shopping and activities. 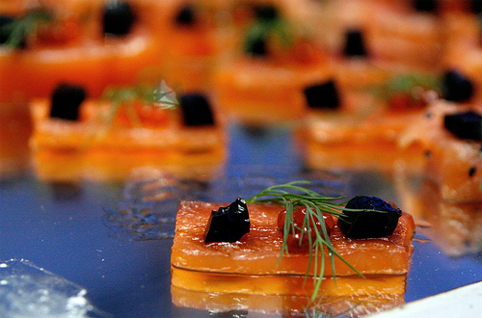 There are suggestions that excite the resident out of me and experience Oslo the way the Connoisseur sees it. This does not mean the poor man’s connoisseur is parsimonious, he or she is just demanding when it comes to quality. It is always a question of context rather than cost. So, the poor man’s connoisseur will happily spend a month’s salary on one dinner, but consider it money well invested. It was an eventful weekend for Norway as Alexander Rybak conquered the 54th Eurovision Song Contest with a historic landslide win in Moscow Saturday, eve of the Norwegian national day. We held a Eurovision party at our place in the company of great friends. Fellow blogger Yed arrived in Oslo that day as part of his European trip in time for the party and the national celebrations the following day. Hotly tipped as this year’s winner, Alexander charmed all of Europe with his self-composed “Fairytale” as he received points from all 42 voting countries. Even more staggering was receiving 16 12-point votes, the highest possible score to give. In the end, Alexander broke all-time record and ran away from 24 other final contenders with 387 points. Runners-up Iceland and Azerbaijan were more than 160 and 180 points shy from Norway, respectively. Moscow gave a truly amazing show, and I felt that all the songs/countries in this year’s finals deserved their place. There was no single bad song in essence. Clearly, gimmick performances (ehem, Czech Republic, Serbia and Belgium) got weeded out. Rock songs didn’t make the cut either. Iceland was a deserving 2nd placer – her song was amazing and her performance flawless. United Kingdom (5th) was quite a surprise for me – she really shone for three minutes and her vocal range was unbelievable. Favorite Greece (7th) never appealed to me as he was so mechanical and a bit too jerky. It didn’t help that his singing was awful too. France’s (8th) Patricia Kaas showed what a world-class artist she was. Ukraine (12) got robbed of a better placing in the finals as she was truly a sight on that stage. Her song had a catchy hook, her act raunchy and raw. Portugal (15) deserved a better placing too – she was a breath of fresh air. Germany (20) had a guy with a hot body and Dita Von Teese’s crazy waistline. That’s about it. I felt sorry for Sweden (21) – somehow their formula ain’t working. Maybe they tried to do too much – alternatively basking Malena’s act in blinding white light, which reminded me of Charlotte Perelli’s grey-skinned entrance last year. Spain (24) must feel terrible falling hard when Soraya proclaimed from her national finals win that she was gonna take the night and had a huge rolling intercontinental campaign. Norway never did a PR junket. Alexander gave his all on the one night that mattered and secured a fairytale win for the elf-looking 23 year old Alexander. Congratulations to Alexander! I’m proud to be living in Norway, as we are hosting next year’s competition. I’m sure Norway will pull all stops to deliver a contest to remember. Here are some pics Vanessa and I took from the party, look out for the Eurovision cake (thanks to Neil’s baker and my graphic design skill, lol). Fun, fun. fun! Coming up – Norway’s 17th of May celebrations. P.S. My blog stats went bananas since Alexander won. It had more than 5,200 views yesterday and today it’s counting at around 3,500. Crazy! Yesterday, Knut, two of our friends and I participated in a socio-economic phenomenon among Norwegians – driving into Sweden for cheaper consumer goods, wine and liquors. With an upcoming party, we took this chance to stock up and do some sightseeing as well in the city of Karlstad situated 107 miles southwest of Oslo. Along the way, we rested at a camping site by a lake for some light lunch. We walked through some woods where trademark Swedish red cottages stood still, coming into a tranquil scenery where clear silent waters mirror mountains and trees. Karlstad is reputed to be one of the sunniest towns in Sweden and the city symbol is a happy sun. True enough, the entire Saturday was sun-kissed which was perfect for walking around town and enjoying some great food at an outdoor restaurant. There was some sort of festival going on in Karlstad this weekend. The main town square where the Peace Monument and Parliament could be found was brimming with booths selling wares from different countries. We bought three kinds of cheddar cheese and lemon curd from the British booth. Walking along one of the main avenues, I got flanked by these little girls in troll costumes. Boy they were dirty! Haha! On our way back to Oslo, we took a detour and stopped by Sweden’s biggest lake called Vänern. They say that the lake is so big you can’t see the other end of it, and it apparently measures around 10 times bigger than Norway’s biggest lake. We stumbled upon three guys having barbeque and beer and here’s a papparazzi shot – well they seem to have noticed me taking their picture. Hahaha! That was a nice weekend trip, yes.